Clean water is the most basic, most vital resource, and is even recognised by the United Nations and certain national governments as a fundamental human right. Nevertheless, as we in Ireland know all too well, water can also be treated as a commodity to be bought and sold. 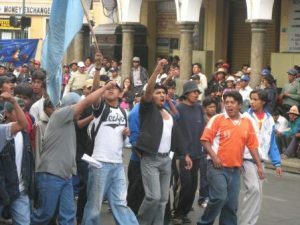 While this outlook has had devastating consequences in Latin America, the fight for water justice can also be seen as a natural area of solidarity between the people of Ireland and Latin America. Water scarcity is a particularly biting reality for much of Latin America, even though it has one of the world’s highest per-capita allocations of water. Between drinking, cooking, washing, and agriculture, water is a vital resource. From the early 1980s, water privatisation was seen as the best way to improve provision and quality for the roughly 1 billion people worldwide without access to clean water. This formed a major component of the neoliberal policies that were rolled out across Latin America during this period, and often spelled disaster for affected communities. Hastily implemented, largely through Public-Private Partnerships (PPPs), these changes were, on the whole, catastrophic failures – improving global access to water by 1% over 15 years, compared to the 25% improvement made by the public sector between 1980 and 1990. In Latin America the results were particularly grim. Across the region, the transition to private ownership was defined by a lack of transparency, selective provision that favoured wealthier areas, and environmental damage. In areas such as Cochabamba, Bolivia or Córdoba, Argentina, prices were liable to sudden increases of up to 500%, while inadequate billing mechanisms meant that people with no access to the service were forced to pay in Taganga, Colombia and billing occurred without meters in Guayaquil, Ecuador. 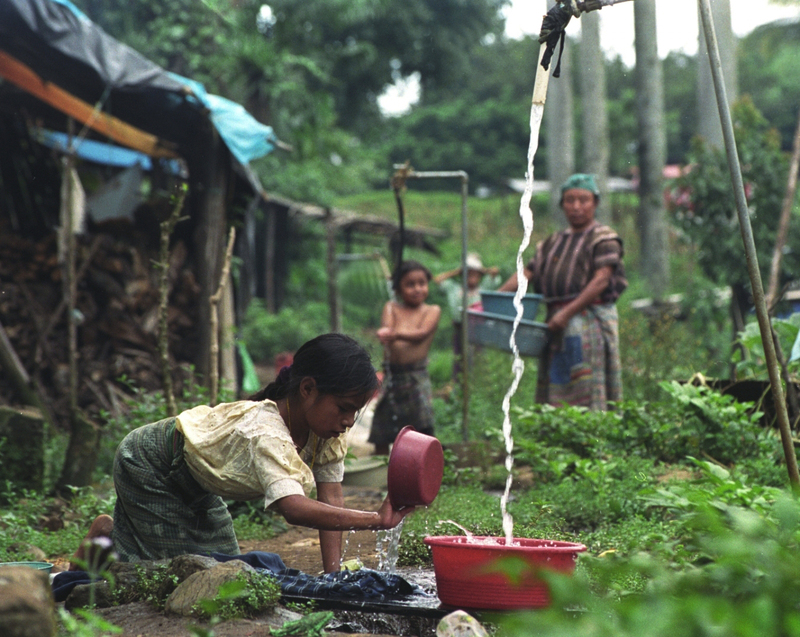 Water quality was another serious concern; in Buenos Aires in 2003, sewage contamination forced many to boil their water before drinking, while similar issues in Guayaquil led to an outbreak of Hepatitis A in 2005. When contracts with water companies were terminated due to such breaches, the governments were often sued, leading to payouts of $15 million in Uruguay, $15.5 in Bolivia, and $165 million in Argentina. The abysmal provision of this vital service quickly sparked a multitude of popular movements calling for a return to the democratic provision of water, and a recognition of water as a human right. This period of unrest reached its peak in 2000, with the so-called Water Wars of Cochabamba and El Alto in Bolivia. While this extended period of unrest and civil disobediance resulted in multiple injuries and even death amongst protesters, it also led to the downfal of the Banzer government and the return of water to public hands. Such successes were reflected across Latin America, and now Bolivia, Uruguay, Ecuador, Nicaragua and Mexico have enshrined the right to water in their constitutions. In spite of these advances, considerable work remains to be done. In Chile, a former poster child for water privatisation, protests have erupted targeting private water’s high prices, poor service, and lack of concern for sustainability, calling for a return to public provision. The ongoing drought that has plunged Bolivia into crisis is a grim portent for a future where variable climates and emptying water reserves become an everyday reality. LASC has supported the Latin American people at every stage of this process, taking a strong position on privatisation. The right to water formed a central part of our Latin America Week celebrations in 2006, 2007, and 2008. In honour of Uruguay’s succesful water referendum in October 2004, LASC has also led several Blue October/Octubre azul events each year, facilitating debates, discussions, and public talks on the role of water and its management, launching cultural exchange events, and building solidarity networks between Ireland and Latin America. More than anything, LASC’s involvement in this area encouraged people in Ireland to consider their own experiences and how they compare and contrast with Latin American perspectives, building a greater sense of mutual understanding in the process.